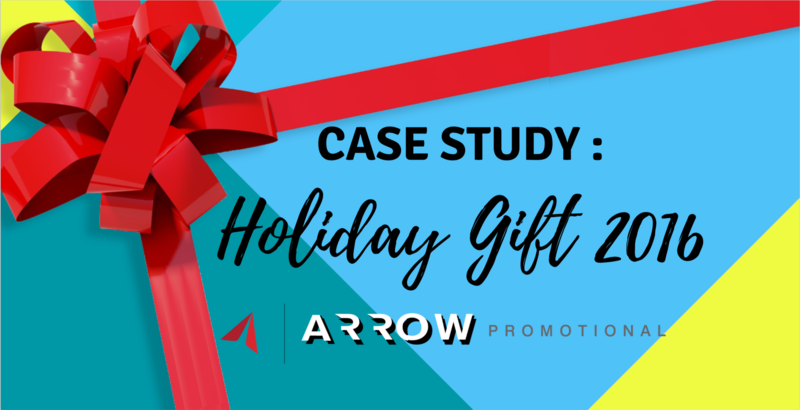 Each and every day, Arrow Promotional focuses various efforts to engage and retain our customers. During the holiday season, however, we like to go above and beyond to express our customer appreciation. For the 2016 holiday season, we prepared an epic gift for our most loyal and valued customers. 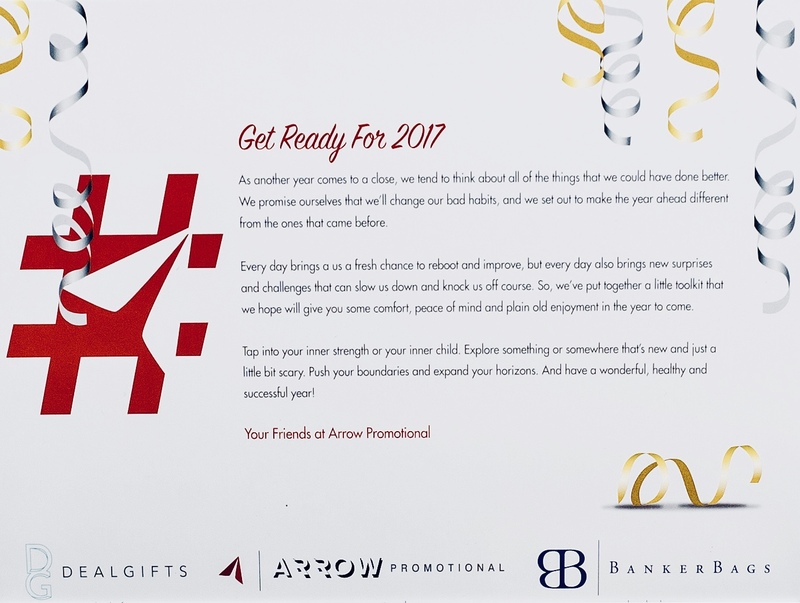 The gift was comprised of various items that fit under the overall theme, “Get Ready for 2017”. Each item was intended to prepare the recipient to best “survive” the upcoming year. The components incorporated both technology in practicality, essentially providing customers with a highly useful and convenient gift. The holiday gift was packaged inside a custom-designed heavy-duty white metal gift box. Enclosed was a branded action camera, customized conversational candy hearts, branded socks, a Swiss Army knife with USB drive, money plant seeds and a mailer card. Each item was branded with the Arrow Promotional logo. The action camera, branded with our logo, includes all the necessary accessories. The conversational heart candies are enclosed in branded packaging and each heart is printed with the messages #GetReady, #Sweet, or #Epic. The Swiss Army knife includes a USB with 8GB of storage, a mini scissors and a blade, and is branded with our hashtag logo and URL. 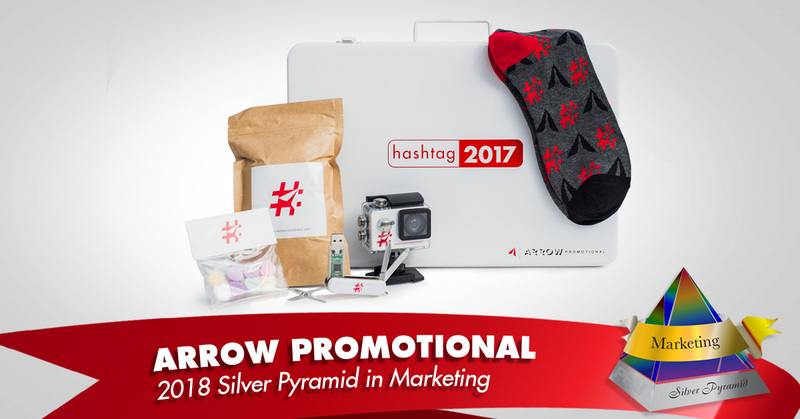 The custom multi-color dress socks, designed with our brand colors and red hashtag, were included to encourage recipients to put their best foot forward in the New Year. The money plant seeds are packaged in a bag with our hashtag logo and URL. The “Get Ready for 2017” holiday gift generated extremely positive feedback. Many clients took the time to reach out to us via email to express their gratitude. The gift emphasized our high caliber of work and admirable capabilities which resonated well with clients. It even elicited new orders and encouraged clients to continue to hire us for future projects. "I just got back to the office from a few weeks off and came back to the super awesome gift from your amazing team! It’s always so hard to come back after some time off so that definitely just brightened my day." "The gift presentation is so fun and full of discoveries! And the items inside are incredibly thoughtful. I loved the card that went along with it - from the sentiments to the graphics it’s just an amazing gift and gives me loads of ideas for clients in 2017! Thank you for the wonderful gift! " "I want to personally thank you for the 2017 Survival Kit! It was very thoughtful!" "Wanted to send you a big thank you for our special NYE and XMAS package we received. We're very excited about everything inside, especially the GO PRO! Very nice touch, really appreciate it!" "Thank you again for including me on your annual 'goodies' mailing – it’s always a highlight of my holiday season to see what you guys come up with. Thank you, and talk to you soon!" "Thank you very much for the cool gift package you sent!! Very thoughtful and appreciated. " "Hey team! I just wanted to say thank you for the cool New Year’s gift! So creative! I love it. Thank you!" We know how to do corporate gifts right! 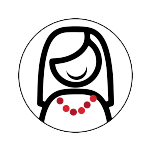 The majority of our clients, through the many years that we have been in business, come to us to provide their own clients and employees with unique gifts. Let us make you crowd pleasing gifts for employees, clients, or anyone else you want to show appreciation to!